As a lifelong comic book fan, I've collected thousands of comics over the years, including a long run of the Marvel series Daredevil. 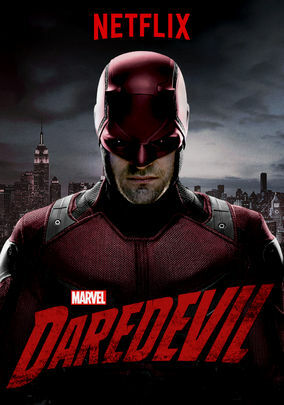 However, when it comes to the Daredevil Netflix series, I've been inexcusably late to the party. I've watched up to Episode 9 (“Speak of the Devil”) and every episode has shown tight writing, understated direction and subtle performances. While Charlie Cox's Matt Murdock shows the deep-seated conflict between his duty to uphold the law and his need for justice outside it (“Wants vs. 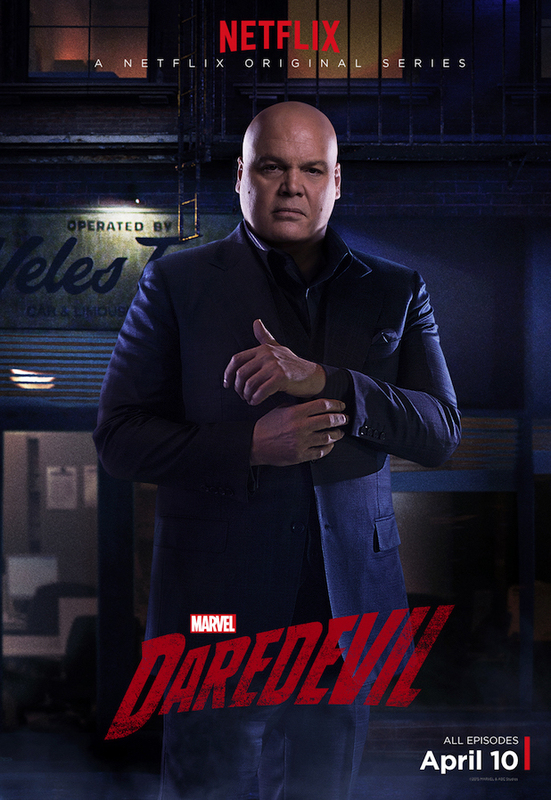 Needs"), the real show-stealer has been Vincent D'Onfrio as Wilson “Kingpin” Fisk. In Episode 8 (“Shadows in the Glass”), we get one of the best Marvel “origin stories” since Captain America: The First Avenger, but with a much darker tone. 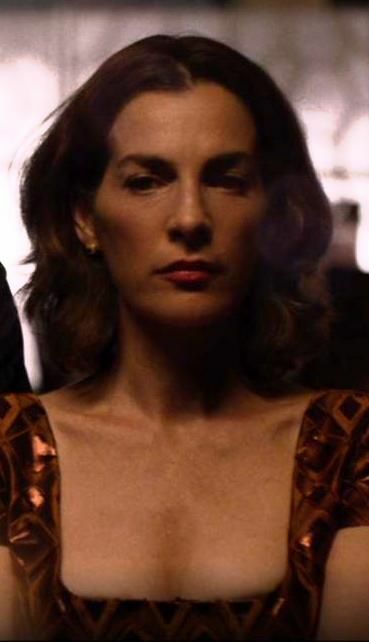 The episode opens with Wilson Fisk waking from a nightmare and staring at the white painting he purchased from Vanessa (Ayelet Zurer). He goes through what seems like a normal routine – making an omelet, eating breakfast, selecting his suit, putting on his cufflinks. When he checks his reflection in a mirror to see a pudgy boy covered in blood. While most writers would use this as a “jump scare”, the scene also serves as a “jumping off point” for Fisk's origin story. Young Wilson (Cole Jensen) learns from his father (Domenick Lombardozzi) that the only emotion a “real man” should feel is rage. The senior Fisk campaigns for a seat on the City Council, while wearing the same cufflinks the adult Wilson was wearing in the opening scene. When his father loses the election, he blames Wilson and his mother. He orders Wilson to stare at a blank white wall, which bears a close resemblance to the painting he bought from Vanessa. When his father assaults his mother, Wilson targets his father with that rage - and the hammer he used to nail his father's campaign signs. The details in the young Fisk story – the cufflinks, the hammer, the painting – all come full circle when Fisk's assistant Wesley (Toby Leonard Moore) brings Vanessa in to calm him down after a meeting goes badly. Fisk explains his family history to Vanessa, including why he wears his father's cufflinks every day. “I do it to show that I'm not my father,” he tells her. “I do it to show I'm not a monster.” This line goes back to characters not saying what they really mean ("Screenplay Subtext: Don't Say What You Mean") , as he knows that he's a monster but he's not ready to admit it. Instead of running away from this “monster,” Vanessa embraces him and enables his transition from lurking in the shadows to basking in the New York limelight. She changes his wardrobe, including his cufflinks, and enables him to go public with his plans to transform Hell's Kitchen. The writers also avoid the cliché of the “good girl” turning the “bad boy” into a “good man.” With Vanessa's encouragement, Fisk becomes even more dangerous, as his public appearances hamper the efforts of Matt, Foggy (Elden Henson), Karen (Deborah Ann Woll) and Ben (Vonde Curtis-Hall) to expose his criminal activities. Screenwriters have such a limited time to tell an effective story. Every word should serve either to reveal an aspect of the character or to move the story forward. The Daredevil writers show how to accomplish both of those tasks in nearly every episode. Rookie writers can find ways to use images, props, or even favorite foods to achieve these goals. If you're dealing with a devil in your details, contact Story Into Screenplay for a FREE screenwriting consultation session. If you also book a paid session during the month of August, you will receive a 20 percent discount on all paid sessions. You can contact Story Into Screenplay at StoryIntoScreenplayBlog(at)gmail(dot)com and enter “Loyal Reader Discount” in the subject line to find out more about this limited time offer. You can also check out our Facebook page for updates and links to other screenwriting resources.